The North Shore vein Center in lake Success, NY, has been awarded the distinction of accreditation in Superficial Venous Treatment and Management by the Intersocietal Accreditation Commission (IAC). This prestigious honor is highly respected in the medical community and is granted only after a strict, peer review process analyzing all daily operations of the medical practice, including personnel, quality of care, safety, equipment, and patient outcomes. All accredited facilities must demonstrate the highest level of patient care. The North Shore Vein Center is one of only six practices to be recognized in the entire state of New York, and the only one in Nassau County, Queens and Brooklyn. 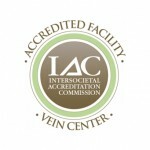 The accreditation symbolizes that The North Shore vein Center has voluntarily undergone a thorough review of its operational and technical components by a panel of experts, and that our procedures have been carefully evaluated by medical experts in the field of treatment and management of superficial venous disorders. Patients can rely on the IAC accreditation seal of approval as an indication that The North Shore Vein Center is dedicated to delivering the highest level of patient care. The distinction is granted by the Intersocietal Accreditation Commission (IAC), which has a 25 year history of developing standards and quality care measures for various medical specialties. 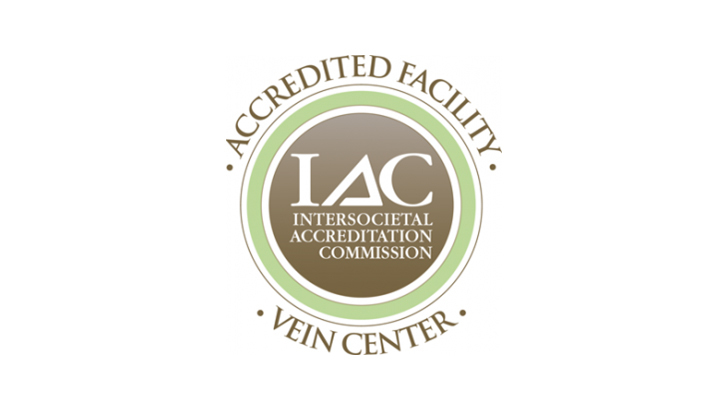 The IAC Vein Center designation is given when a facility has met exacting requirements specifically intended for vein care and superficial venous insufficiency. Areas of scrutiny include physician training and experience, continuing education, procedure volumes, chart reviews, equipment and facility inspection, procedure complication rates, ultrasound imaging, disease management, patient outcomes, and quality improvement programs.